23 Auto-blocking of spambot accounts? 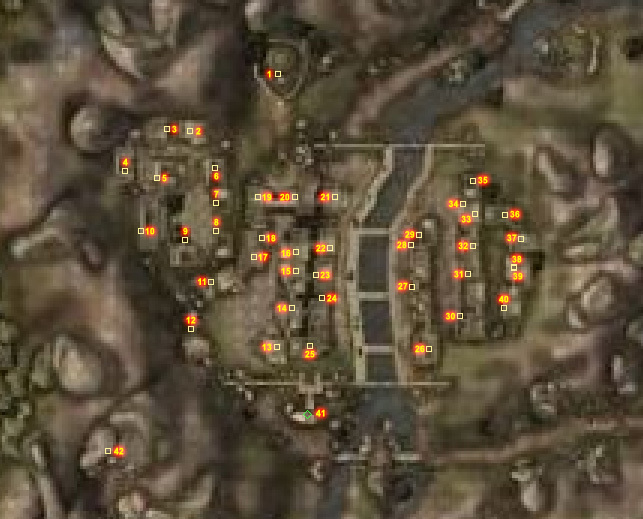 Jak brought my attention to the fact that we have a few known broken images on the site, like MW-map-Balmora.jpg. Once I'd found one, I was able to find a whole bunch more. Unless someone can think of a good reason to keep these, can I suggest that an Admin delete either the whole page or the specific broken image, as appropriate. I can't Prod/Speed a specific historic image, and while not huge, the list of affected images isn't small, either, so I figured a post was the way to go. Here's the list of affected images—in some cases, it just shows "No Thumbnail", while in others, we get an error message. What can I say? I was really bored and I thought it might be fun to check out all 25,000 image pages! Okay, no, seriously, in the database, they all have an empty image name in the oldimages table. There were actually 28 of them, but MW-creature-Rat.jpg is duplicated. Jak mentioned that page being merged, so presumably that's where the duplicate comes from. Okay, at long last these are done. Thanks first of all to Jak Atackka, who was looking for something to do and was able to help out with finding the files and moving them where they needed to be. That made the other half of the job, updating the database and dealing with oddballs, much faster and easier. Also thanks to Eric Snowmane, who was able to track down this half-remembered post that I couldn't find, which explains where a lot of these issues arose from (though not all). Later tonight, I'll look over that post and another one he found in the process to see if they bring up any additional issues that might need looking into. I've started to play with Lucene search and other search improvements on the Dev Wiki and need some ideas/feedback on what sort of search features/design we should have. Auto-Complete -- Seems to work fine but may need to be tweaked due to our multiple game/namespaces. Suggest -- Lucene will suggest/spell check search terms relatively intelligently. Namespaces -- While it works better than the current search it will likely have to be tweaked a bit to work better with our namespace/game system. Search Location -- Currently our search box is on the left and a common suggestion from the user survey was to move it to the upper-right where most other Wikis have it. This is completely separate from the back-end search changes but might as well bring it up now. Performance -- Its impossible to gauge as the dev server is relatively slow but it should be similar or faster than the current search. I'll have to test performance once I get the final Lucene setup finished. A search bar at the bottom of pages would be cool, IMO, especially when you can't be bothered to scroll back up the crazy long pages like this one or the CP. I've played around a bit with it on the dev wiki, and I've got to say all of the changes so far look awesome, and they seem to work really well. I'd definitely still love to see the advanced search look a little prettier, but the improvements to regular searching are fantastic. I like the changes in the search box format, with no buttons and the little magnifying glass icon to get to advanced search. I think the box itself looks great. As far as location goes, I'd suggest we leave that to the skin itself to decide, and just tweak the CSS files as necessary so that other skins like Vector are actually viable options on the site. I'd enjoy doing that, but given Jak's greater knowledge of CSS, I also suggested he might want to take it on. So far, neither of us has found the time. 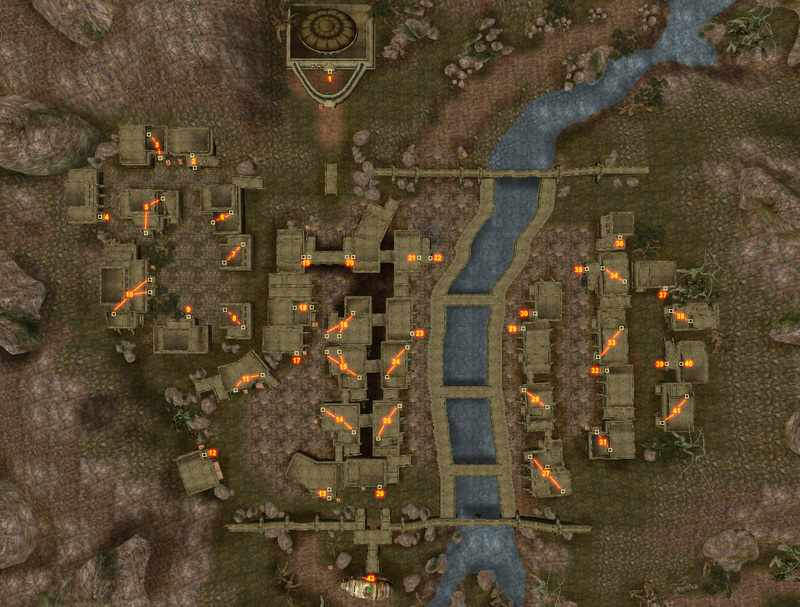 In my preferences I have it set to search in every namespace, and using "Raven Rock" as an example (has Lore, Bloodmoon, and Dragonborn pages), I only had Lore, Bloodmoon, and their respective talk pages returned, plus the result for the Raven Rock Mine. I tried those two links and they look exactly the same. When logged out, I get the Miraak results in the auto options. When logged in, the only result I get for typing in "Miraak" is User_talk:Miraak. To clarify, I tried this with the "Search in all namespaces" checkbox ticked, as well as with it unchecked (having both Dragonborn & Dragonborn talk checked as part of that list). So while there might be an issue with that checkbox, that's not the only issue. This will be a very controversial proposal, but given the latest trends, it's worth putting on the table. I will say up front that I hate the concept, and I want to actually let the spam bots post for a while unrestricted so that I can see if this trend continues, but they've taken to using YouTube links for the purpose of spamming the site. They are obviously not stupid, and the programmers have realized that they can use a perfectly legitimate website to push their spam through the filters, and while I believe that YouTube links do have some minimal value on the talk pages to prove a point, the fact of the matter is they aren't posted really often for a legitimate purpose (at least that I've observed), so if the spamming via YouTube links continues or gets worse, I would like to propose, not the outright blocking of the links, but stricter restrictions on how a link can be posted and what needs to be done to stop them from being posting maliciously for spamming purposes. Although, at the same time, if it came to defending against a bad spam wave or allowing newbies and numbers to post external links freely, I'd vote for the former. I can already hear the voices in my head of people saying this is a dumb idea and that the numbers and newbies deserve the same posting rights as others, but what would it hurt if we put a restriction on YouTube links, such as being AutoConfirmed, which would require your many days named and your number of good edits, or at least adding it to the Abuse Filter to the effect of "Due to an increase in spamming activity with YouTube links, they have been temporarily added to the spam filter, and posting links to external sites for the purpose of spamming the site is vandalism and a bannable offense. Are you sure you want to continue?" I have just noticed two small problems simultaneously. The first is only a minor inconvenience. The link to setup the custom list of Namespaces on the Special:RecentChanges page is pointing to the wrong place. It looks like the Preferences:Recent Changes tab has been renamed since the Special:RecentChanges page was last modified. I don't see why you need blockuser. We currently aren't dealing with that much besides spam resulting in blocks. See the block log for evidence of this. Secondly, permanent blocker status is generally reserved for a patroller. While exceptions can be made, it would be easier to make the exception if there was a clear reason for the request. I don't see any obvious reason for this request besides a wish for more rights based on your recent contributions including a request for Userpatroller (which was granted) and a request to become a full patroller two days later. I apologize for assigning a motive to it if I'm wrong, but I had to as your request didn't offer an argument of your own for why you would want to become a blocker. On the 12th of March myself and my brother will be attempting to break two Guinness World Records. We are breaking the records for longest time playing A role playing Game (which will be Skyrim). (The current record is 47 hours and 14 minutes) and longest time playing a Survival horror series. I've had an idea today. For every £1 or $1.5 someone donates they get one vote for a characteristic for my character for example: Name, Gender, Race, Right arm, Left arm, armour or robes, and difficulty. And i'll put the choices into a pot and just before or the night before depending on the amount of donations I'll post a video or do a livestream showing me picking the choices. The user in question has been blocked for a week. For future consideration Silencer, referring to a user as a "vandal", "troll", or any other number of names helps them on their path. While you may consider them to be these things, and they may meet the definition of a troll or whatever word you want to use, it's best not to use the word, ever. It helps glorify them in their eyes and can convince them to continue. This is especially important when the user in question is paying attention to your reaction (as was the case here). By feeding the user with your negative reaction through edit summaries and posts on this noticeboard you are encouraging the behavior. Instead, it is best to just remove vandalism with an edit summary more along the lines of "Reverting Nonsense" as that gives less encouragement. Likewise, a more neutral and less personal reaction here also helps. This is even worse when you actually provide a personal response to a user who is causing issues (like this), as they aren't going to see your response and stop, it only eggs them on more. Likewise to Eydvar, your second warning on this user's talk page was redundant as we don't warn twice over short intervals, but also not helped when the user removed it and you readded it with your all caps response to the removal of the warning. This user is unlikely to care about policy regarding the removal of warnings, so it would of been better to say something along the lines of "Reinstating notice". There is a difference from referring to an action as vandalism than labeling a user as a vandal. One is merely noting something as an undesirable edit, the other feeds the user as you are personally connecting the edit to them (not that it wasn't already, but it further instigates the situation). This isn't their problem, this is our problem. If a user is trying to create issues, encouraging them only creates more issues for us. As for what you should call it in your edit summary, you may notice I already provided a recommendation in my previous message. Either way, you answered your own question. "Revert Vandalism" or "Revert Nonsense" works fine as it is less encouraging. A personal plea is not going to help this type of situation. If a user has decided they are going to be obstructive, a single line like your "please stop with adding sexual conotations to everything" is not going to convince them to stop. A user who is purposely doing irrational things like vandalism is not going to be convinced by any reasonable argument on your part, so it is best not to argue at all. Once again, this only encourages them. Furthermore, there was multiple cases of administrative reaction provided roughly an hour after this user started editing (see here). Your claim that no one else was dealing with this was simply not true. If the situation truly grew out of hand, it would of been dealt with swiftly. You may despise this kind of user, as does everyone else here, but vocalizing your hatred so loudly does not help the situation. Vandalism should be treated like any other edition, as calmly as possible. As for encouraging other users to react this way? Talking about specific vandalism and specific users is virtually always a bad idea. Every time I have seen it, it has not helped the situation. It does not matter how clearly a user can be classified as vandal or not, you cannot act differently than you normally would with any other editor or editions as it is considered a victory for the user who is causing the issue. Treating it as if it's 'business as usual' is the best response for this situation. I'm not sure what caused this problem. Nonsense, you half-bot people must know how to fix it! What else are you getting paid for? (←) I agree with Minor Edits. If we don't get serious and take serious action, they'll continue to find ways to circumvent the system... What I wonder... In addition to making registration slightly harder, is it possible to set up a way where a user (or group of users) gets to decide at the last second whether the account can go through? A little message after the registration process to the effect of "Thank you for registering your account on UESP, however, there is one last step you must take. In order to finish registration an administrator needs to review and approve or deny your request to complete account creation. We apologize for the inconvenience, but it's to preserve the site against spammers and accounts who may abuse the wiki. Your account will be processed at an administrator's first convenience. ", then a little notice showing reasons why the creation could fail, such as the pattern being predicable as possible spam bots, names that are inappropriate, etc? While I see a lot of interesting ideas floating around, I think included a manual approval step in the registration process would be far more effort than the couple of seconds it takes to delete and block a spam account, and I still disagree with the idea of banning anonymous users entirely. We easily see more beneficial edits from anonymous users in a day than we see spambot (or even vandal) activity, and the tradeoff isn't worth it at all. To answer an earlier point, e-mail confirmation does not grant autoconfirmed status—you still have to get the requisite number of edits and days passed—so autoconfirmed filtering makes a lot of sense. Also, yes, it's possible to have an account confirmation process. ConfirmAccount does exactly that. My main concern with that is that we would need to have a reasonable number of people who were willing to confirm accounts on a regular basis. (In case you only skim the intro, permission to confirm accounts can be granted to non-bureaucrats as well.) Given that we already don't keep up with the patrolling, and we've got Eshe deleting images she's proposed for deletion on a regular basis (which is not the preferred course of things), I think that adding more duties for people to perform would likely get backlogged or fail outright. To be fair on Eshe deleting her own tags, we only have a small handful of users who have the delete privilege, so given that she tags a lot, it's something that can't be helped if she ends up deleting her own every so often, unless you can scrap up a few worthwhile RfAs to help the load, which save for Eshe deleting her own tags, doesn't seem to be necessary. And, her images aren't quite so undesirable as spam accounts always being made. And, since non-bureaucrats can Confirm accounts too, what if that was a right given out to patrollers (or at least the most senior of patrollers, if by default is undesirable, which is likely) in addition to administrators and 'crats. It might be a little more hassle, but on the plus side, unless the bots get really creative, we can cut out damn near all of them, hopefully, and the load would be spread out so that we have a pool of users who can read and click for even just a few at a time. Esta página foi modificada pela última vez à(s) 06h34min de 1 de janeiro de 2015.